Kind people, amazing food and some of the most beautiful, clear water beaches make Los Cabos, Mexico perfect for a long weekend getaway. Last year, I got a sweet SWEET offer in the mail from Westin to stay at The Westin Los Cabos Resort Villas & Spa. 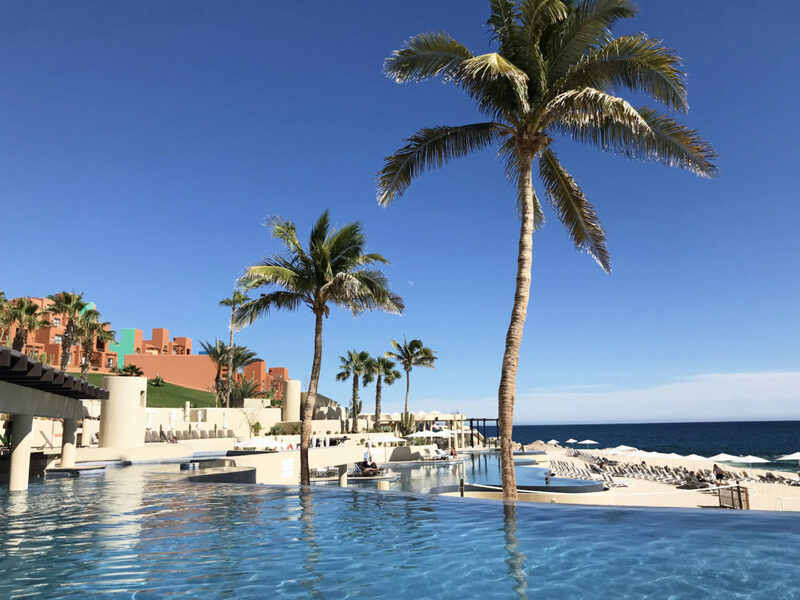 The hotel was reopening after hurricane Odile, a Category 3 hurricane that slammed Los Cabos, Mexico in 2014. The price was better than right and I couldn’t resist booking a getaway. We chose to book the trip in January because, January – Chicago – No Brainer. The trip was one of the easiest trips I’ve ever planned. Our hotel was already chosen so, all we needed were flights and a rental car. 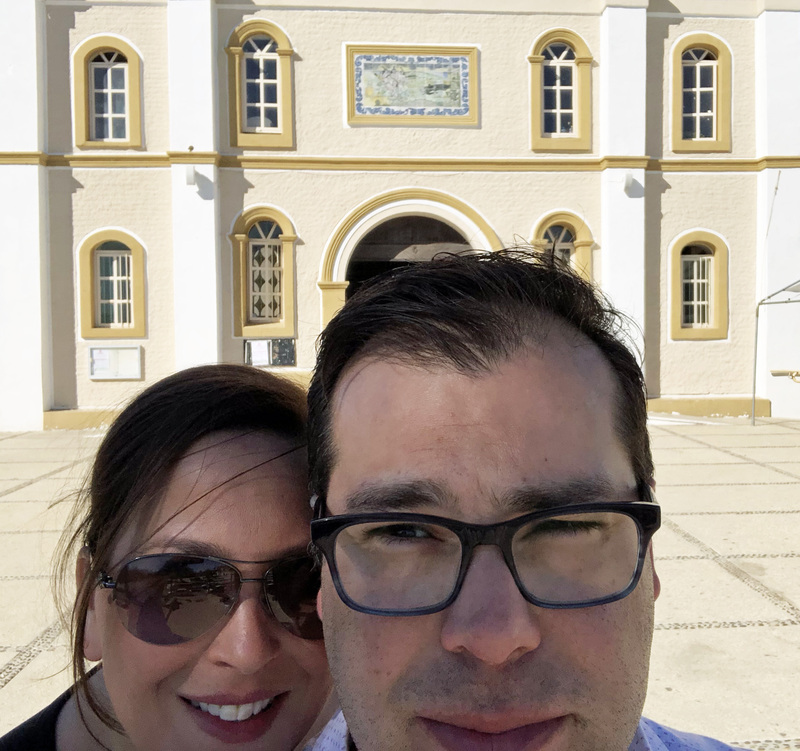 We booked our 4-night stay from Wednesday to Sunday giving us 3 full days over a weekend to explore Los Cabos, Mexico (amazingly, our flight was on time giving us every bit of precious vacation time in Cabo vs the sitting in the airport). Our hotel was a beautiful oceanfront property on the stretch between San Jose del Cabo and Cabo San Lucas. We had an amazing ocean view room. The main objective of our vacation was to bask in the warm sun and relax. Relax and take in the rays we did. We had amazing weather while we were in Los Cabos, 80 degrees every day without a cloud in the sky. We spent each day traversing the beach and the pool. 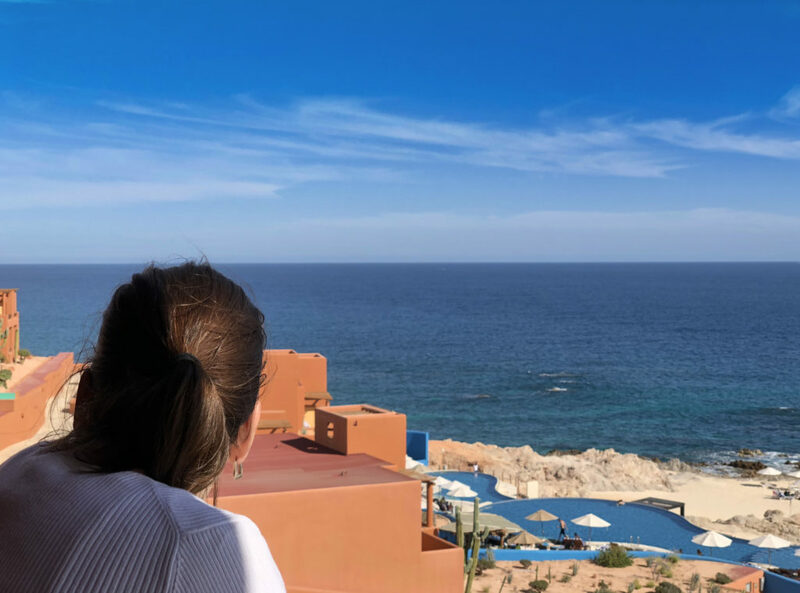 January through March is peak season for whale watching in Los Cabos and we were blessed to have whales in the ocean waters in front of our hotel. I spent hours staring out into the abyss waiting for a whale to flop in the water or breach. 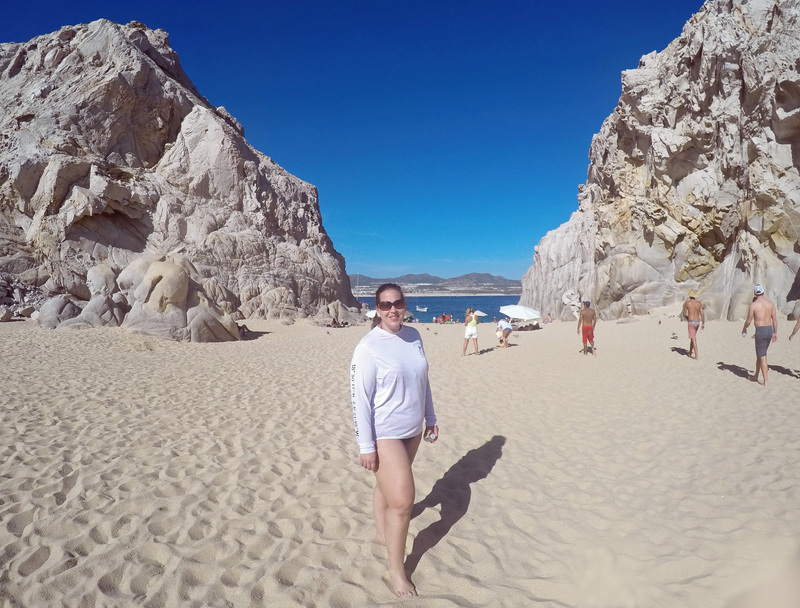 In addition to relaxing, we explored both Cabo San Lucas and the town of San Jose del Cabo. The vibe of each town is very different. 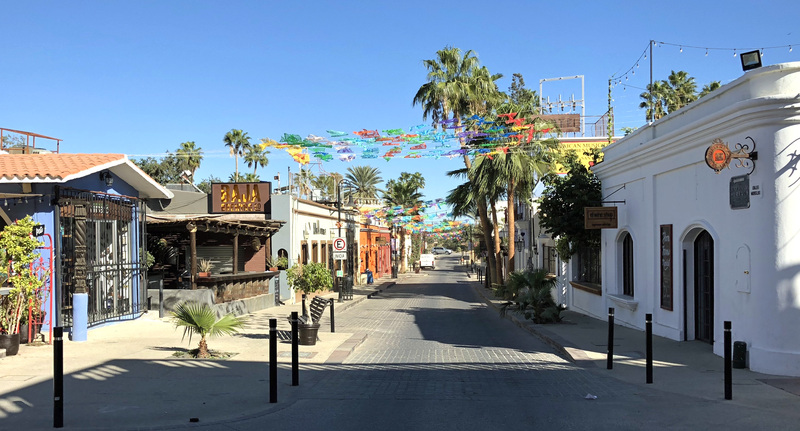 San Jose del Cabo is quaint with gourmet restaurants and an art district. Cabo San Lucas is a vibrant town with nightclubs and the marina. One of my favorite nights of the trip was in San Jose del Cabo. On Thursdays, the town hosts an art gallery walk where the galleries open their doors in the evening time. We had a great time viewing art at the high-end fine art galleries with original works made by local artisans. We had dinner a great restaurant call La Lupita and enjoyed the live music. I’m dedicating an entire post to the food and drinks we enjoyed in Los Cabos. So, check back next week to read about all the deliciousness we ate and drank. 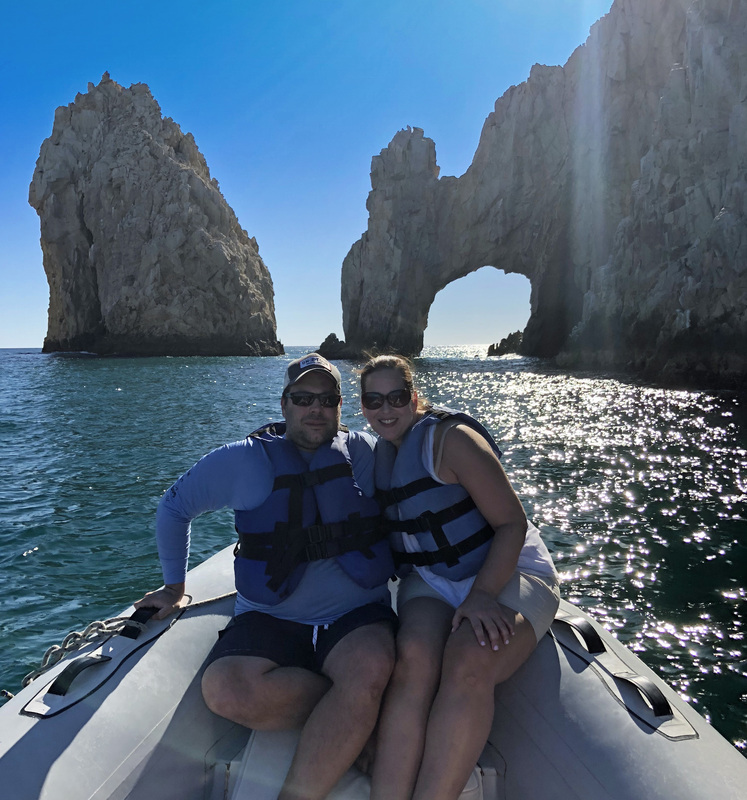 The whales were very active in Los Cabos during our stay so one afternoon we decided to take an excursion in hopes of seeing the whales up close and personal. We were in a small boat so we weren’t able to get close to the whales. We did see several whales flopping around in the water and few breaches far far away. We got much closer when we were in Monterey several years ago. Regardless, the trip was fun, if anything the boat ride was exciting. My favorite adventure of the trip, no doubt, was kayaking. 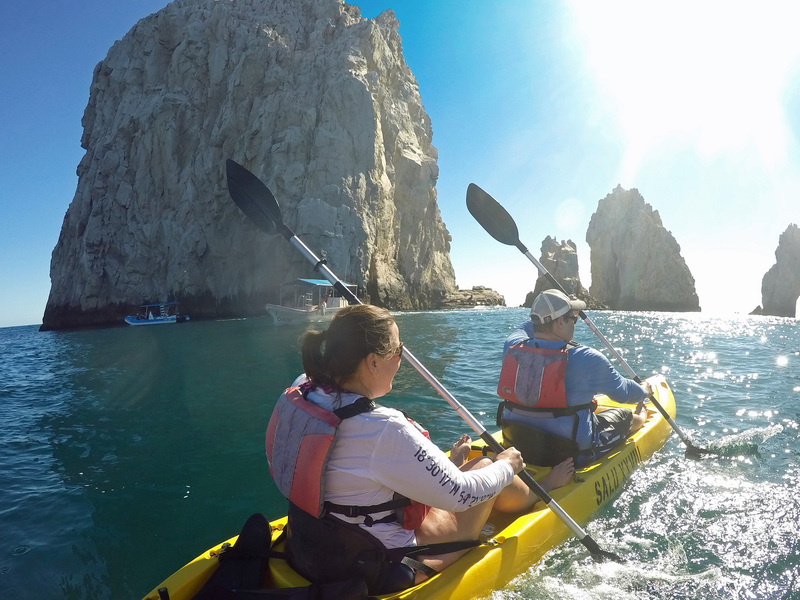 We snoozed on booking our reservation so we ended up kayaking around Los Arcos (aka the Arch) vs. the 3 Bay excursion. We kayaked out to the Arch, past the sea lion colony and around Land’s End into the Pacific. We docked at Lover’s Beach (sea of Cortés side) and walked over Divorce Beach (Pacific side). Lovers/Divorce Beach is one of the few beaches in the world that actually connects with two different bodies of water, the Pacific Ocean on one side and the Sea of Cortés on the other. Lover’s Beach gets its name for its pretty calm waters. While a few short steps away over the sand mound, Divorce Beach has waters that can be VERY dangerous with rip tides, undertows, big waves. 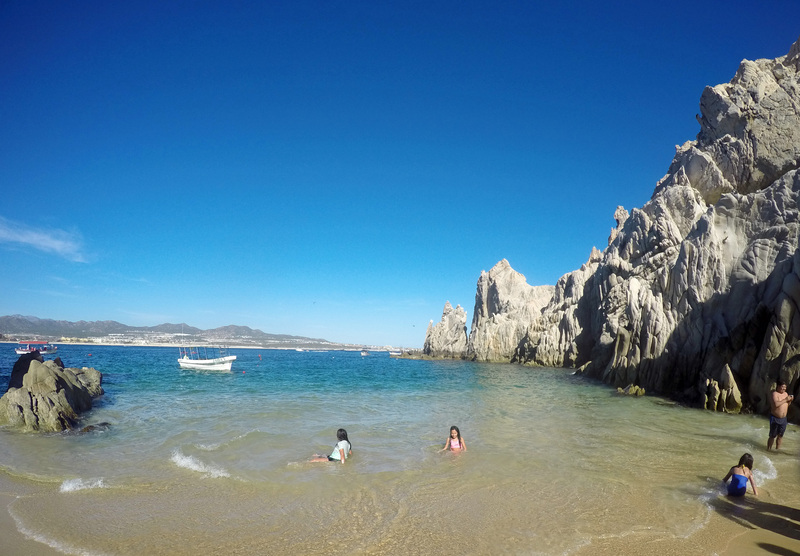 After exploring the beaches we began our paddle back to shore, with a stop at Pelican Rock to snorkel. I decided to snorkel, Charlie decided to stay in the kayak. And this is where the good times of this trip really began. Yep, I dumped Charlie in the Sea of Cortés. Apparently, he was expecting a countdown. In addition to dumping him in the ocean, we capsized the kayak. Luckily, the only things that were lost were a broken pair of sunglasses and my ego. The tour guides helped get Charlie back into the kayak while I snorkeled (which was pretty murky). Then came the fun part. I needed to get back IN the kayak. Bwahhhhhh. After several failed attempts (my arms were jello), I ended up swimming to shore and climbing back the vessel. I’ll be working on upper body strength this year at the gym, for sure. Our trip to Los Cabos was short. Too short. Like all fun trips, I wish we had a few more days to just sit and relax. Avoid the hagglers. In the airport, there is a slew of people who are going to try to sell you a timeshare. Just keep walking. Rent a car. If you’re staying at a resort outside of one of the major towns and plan on leaving the resort, rent a car. Taxies are expensive from the airport and also back and forth to town. If you’re worried about getting lost, don’t. There is basically one main road. Avoid Checking Baggage. There are stores to stock up on supplies like sunscreen including a Walmart and Costco. Los Cabos is big. There are two main towns in Los Cabos, San Jose del Cabo, and Cabo San Lucas. Between the two towns is a large stretch ocean with beaches, oceanfront mansions and, resorts. Both towns are easy to explore on foot.